Posted by: Ash on September 24th, 2015, in Guides. .
Birding in the Brazilian Amazon offers one of the world’s best opportunities to see hundreds of different species and our recommendation for a Brazilian birding adventure is located near the town of Alta Floresta in the southern Brazilian Amazon. No other area in Brazil’s eastern Amazon has been studied so intensively as Alta Floresta’s rainforest, which means the best birding spots have been defined and many species have been identified. First we will give an introduction to our recommended lodge for this region and then go into why this is such a fantastic base for Amazon rainforest birdwatching. Positioned at the edge of the Cristalino River in it’s own private reserve, the Cristalino Lodge has been carefully designed to fit fluidly in the surrounding rainforest. 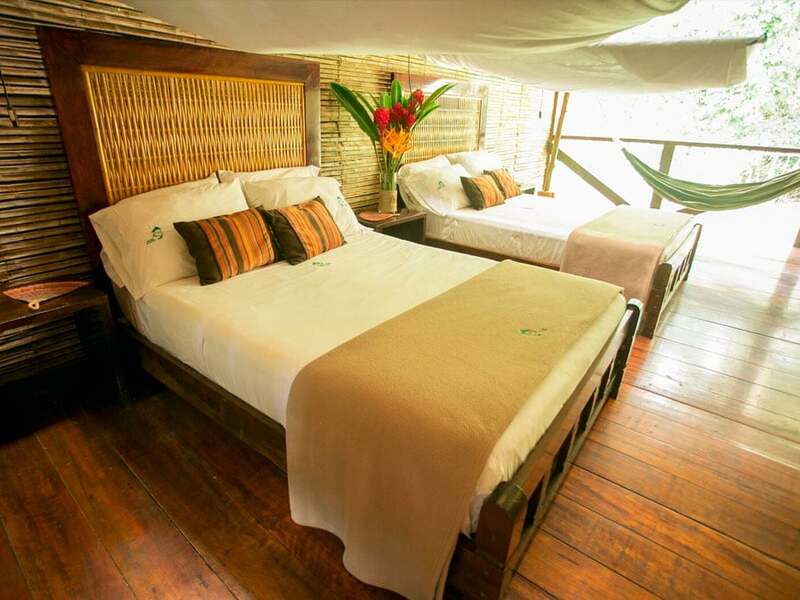 Enjoy very comfortable accommodation with areas to relax and enjoy the sounds of the Amazon and even an inviting log fire in the middle of a riverside deck to truly relax in the rainforest. The Cristalino Lodge has fantastic accommodation, relaxation areas, and a bar positioned near the riverside deck for your convenience. The restaurant then provides delicious meals. One of the best parts of the Cristalino Lodge from a birding perspective is the surrounding 28,167 acre (44 square mile) reserve and the adjoining 184,900 hectare Cristalino State Park, which means many species have protected habitat and can live without disturbance. These protected areas join to several others creating a mosaic of protected rainforest composed of the 2 million hectare Brazilian Air Force Reserve, the Headwaters Biological Reserve, the Xingu Reserve, the Kayabi and Munduruku Indigenous Area, the Juruena National Park, the Rio Novo Park, the Jamanxim National Forest, the Crepori National Forest, the Apuí Mosaic, the Sucunduri Park, the Jatuarana National Forest and the Aripuanã Reserve. The forest around the Cristalino Lodge contains 586 reported bird species with new birds still being found.To put this into perspective, this is about half of the entire bird species in Brazil, which you can see from one Amazon lodge. Many of the species are only found in this area and nowhere else on Earth, such as the endemics of the Tapajos, Madeira and Xingu rivers. The soil has also shaped the diverse forests, such as providing for large stands of bamboo housing many different bamboo specialists, including the Peruvian recurvebill, ornate antwren, dusky-cheeked foliage-gleaner, manu antbird, chestnut-throated spinetail, rose-breasted chat and the rufous-capped Nunlet. While navigating the rivers to the forest, we will see fantastic species, such as macaws and toucans flying overhead and an abundance of kingfishers patrolling the waters. When we enter the forest, we can see a great number of understory birds, such as the many antthrushes, antpittas, antbirds, cuckoos and manakins. The manakins are always a favorite to see and around the Cristalino Lodge you can find several species, including the snow-capped, fiery-capped, flame-crowned, red-headed, and blue-backed varieties. Cuckoos are another favorite and behaviorally fascinating group and the main species found around the lodge include black-bellied cuckoos, ash-colored cuckoos, dark-billed cuckoos and pavonine cuckoos. The rainforest canopy then contains many of the birds high on list of both bird watchers and nature lovers. 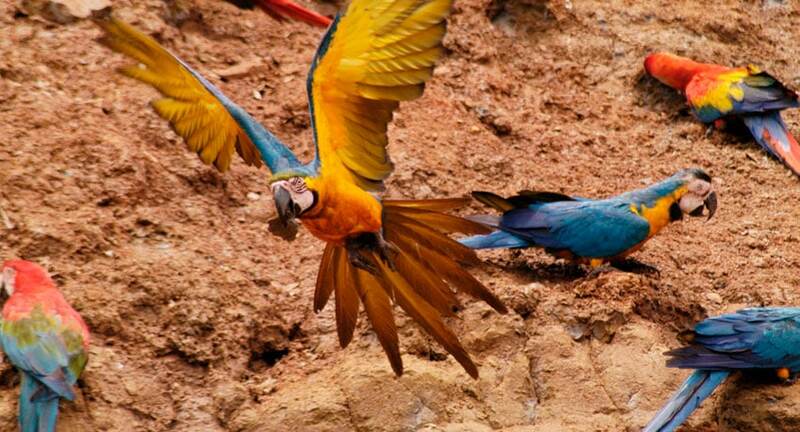 Here you can find the macaw parrots for example, and at Cristalino you can find six fantastic species, including the blue-winged macaws, blue-and-yellow macaws, scarlet macaws, red-and-green macaws, chestnut-fronted macaws, and red-bellied macaws. 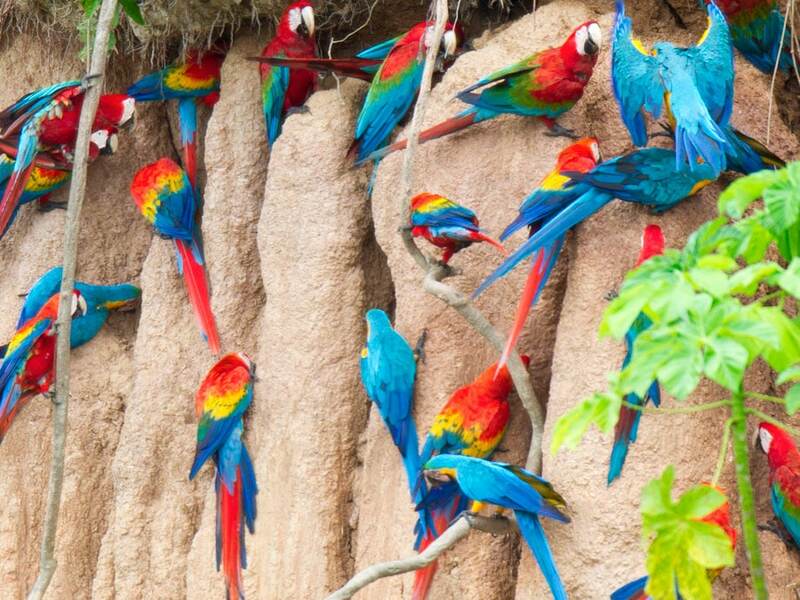 These large birds are then often joined by smaller parrots sitting in the canopy trees, such as the red-fan parrots, white-bellied caiques, and parakeets, including the crimson-bellied conures and madeiras. The cotingas are another favorite of the canopy and around the lodge’s forests you can find the spangled, purple-throated, and pompadour species. Colorful tanagers then dot the branches and aracari toucans are often seen feeding from the palm trees. 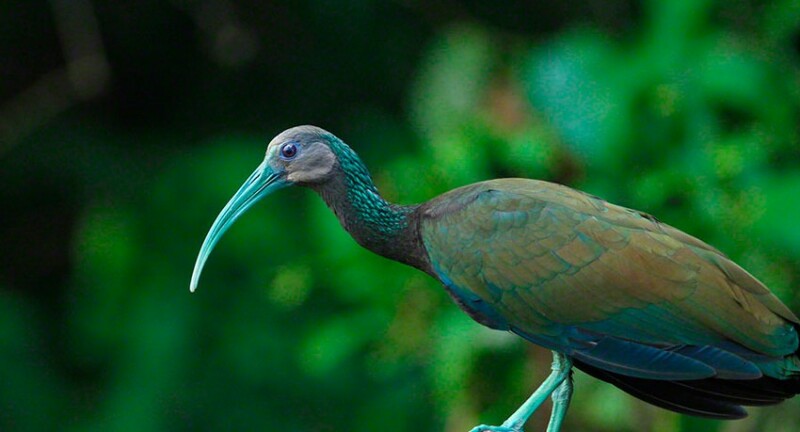 As for some of the larger birds you can see, these include the piping guan, curassows, jacamars, herons, and puffbirds. Then, of a night, you can enjoy the different owls and pottoos, such as crested owls, Amazonian pygmy-owls, black-banded owls, great potoos and long-tailed potoos. Saving the bird on many people’s minds for last, both the harpy and crested eagles are also sometimes spotted early in the mornings. Your birdwatching activities start early in the morning as this is the best time to see the most species. Your guide will be pointing out the different birds encountered and will be on the lookout for the many endemics and mixed species flocks. 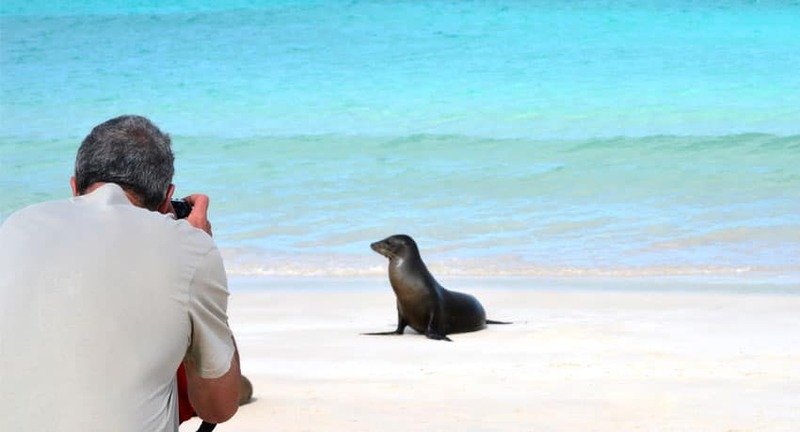 We will explore different trails around the forest that cross several different habitats, which will give you the best chance of seeing many different species. A fantastic feature of the Cristalino Lodge are the canopy towers, which are 50-meter (165 ft) galvanized steel observation towers high over the rainforest, which makes for incredible bird observation in different rainforest sections. The canopy towers are a great place to see the sunset, gaze out over the Amazon Rainforest, and to observe different birds. 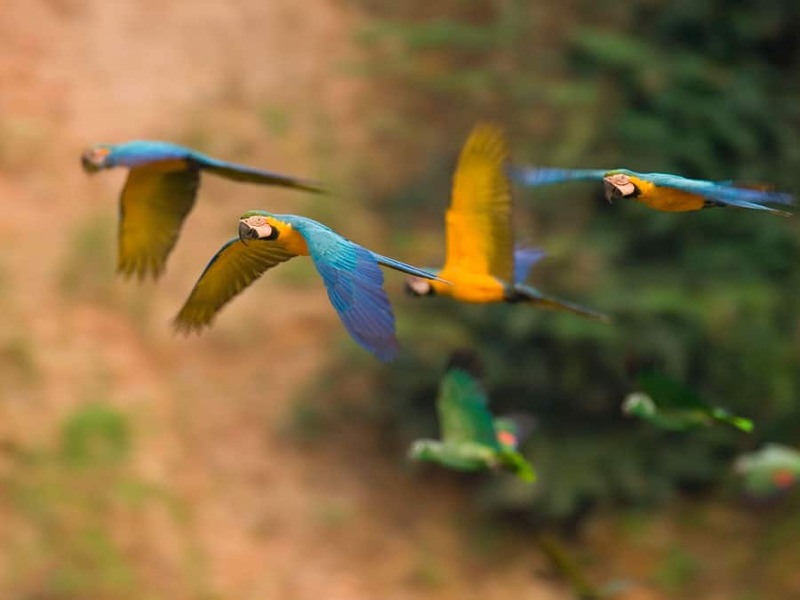 Birds you’re likely to spot from the towers include tanagers, cotingas, macaws, parakeets, and parrots. As ‘honorary vertebrates’, the butterflies you can see around the lodge include around 2,000 different species and are a magnificent and muched loved group of insects. You are sure to see many colorful species in between birding opportunities. Offering a responsible Amazon lodge with an active program in conservation and community outreach, your visit to the Cristalino Lodge is directly beneficial to the surrounding environment and its animal and bird life, which combined with some of the best birdwatching and guides in the Amazon, make if a firm favorite.